Going hunting with your dogs can be fun and help you to flush out prey as well as retrieve the kills for you through the brush, grasses, and water. This should be a positive experience for both you and your dogs, but it is important to properly prepare them for their first hunt. The following guide walks you through a few tips to use to ensure that you are able to create a great hunting experience for you and your dogs. Dogs are undoubtedly mans best friend and there's often an unspoken ability to communicate - but that doesn't happen without training. Experienced hunters may have learned this through generations of dogs that they have hunted with over the years, but for a new hunter it's worth contacting your local gun clubs for recommendations. While dogs are great pets - in this case they are a highly specialized tool, just like your guns, boats, and radios. This isn't just THEIR training though, it's also for you. The two of you will ultimately need to work together as a team. For optimal training, your relationship needs to be continually reinforced from the time they are a puppy through the end of their ability to join you on hunts. The first year is of critical importance in training a hunting dog, but make sure to always carry a throw with you to reinforce this behavior and make it fun and exciting for him! Before you go on your first hunt together, it is essential that they be familiarized with the environment that they'll be expected to perform. For example, while you and I are comfortable hopping into a Polaris Ranger for the ride to the blind, your dog may be startled by the initial roar of the engine or rough terrain. Likewise, you don't want to spook the pup the first time he hears gun fire. Dogs can be unpredictable, especially when they are in an area that they are not used to. During our visit to SHOT Show this year, I was amazed at all the technology that I saw there. However, one of the coolest was the line of tracking collars I saw from Garmin. 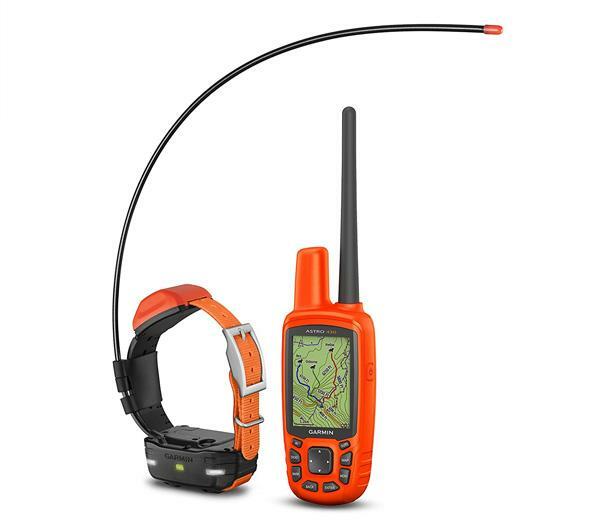 These Garmin Astro tracking collars include a handheld, weatherproof GPS with topographical maps and software that can track up to 10 dogs up to 9 miles away. For new hunters, this sense of security will help make you more comfortable but it's important that you still train the dogs to follow your commands as well as be comfortable wearing the collar since it is clearly more bulky than a standard collar. 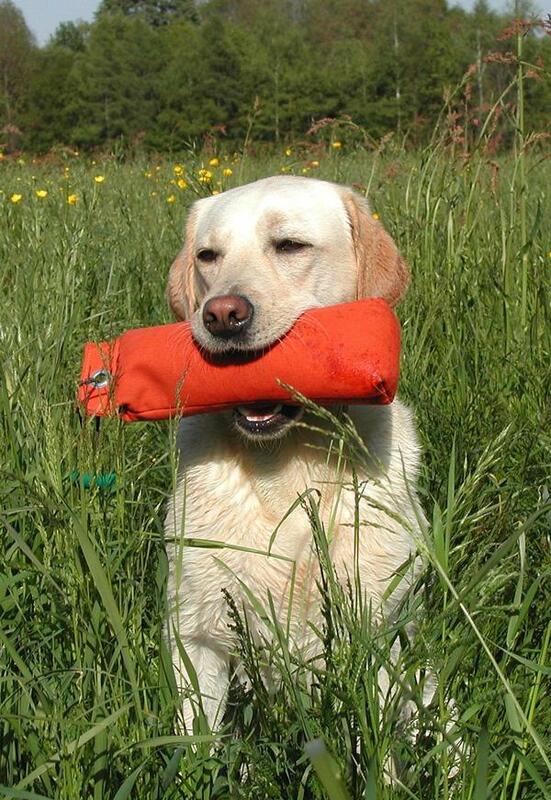 You want to make sure that your dog has a long and enjoyable experience helping with you, so it's critical that this first hunt be a positive experience. To do this, you will want to go out with a small party of only one or two people. This will help reduce distraction from too many shotgun blasts going off as well as calls from others in your party that could confuse your dog initially. 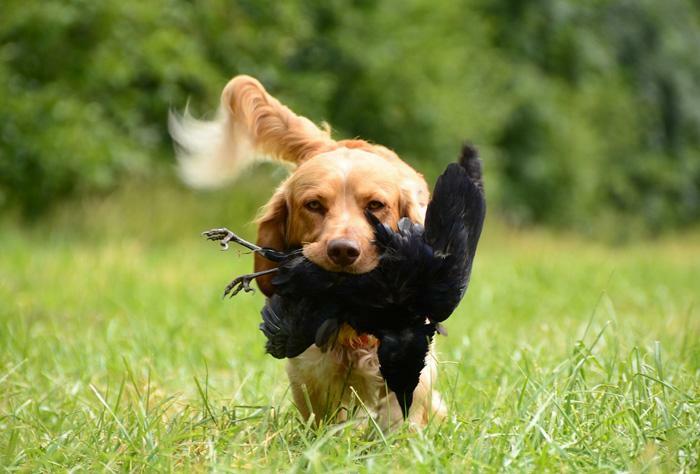 Additionally, you'll want to focus on making one kill at a time so he can focus on that bird for retrieval. Getting Your Dogs Ready on the Day of the Hunt! Now that you have everything planned out for a great day out in the woods or wetlands, it's time to make sure that the actual day of the hut goes well for both of you. While you might be ok with a bit of inclement weather, make sure that your dog is prepared and that his first hunt will be a rewarding experience for him. During training and familizarization, you should have already aclimated your new hunting dog to various types of weather. The goal here though is simply to reduce the number of challenges for him. This will allow him to perform the way he wants to and you'll be able to focus on rewarding him for excellent behavior rather than correcting for anything that might be weather related. If you plan on hunting with buddies and they will be bringing dogs of their own, it is important to bring separate food bowls for the dogs to use. Dogs can become territorial and having them all eat out of the same bowl can lead to a fight breaking out. It is best to keep the bowls a good distance from one another, as well just to reduce the risk of the dogs fighting over the food. It is best to bring plenty of water for you and the dogs to drink during the hunt. Dogs run a lot when they chase the prey and it can cause them to become dehydrated. When you are hunting with numerous layers on, it can cause you to sweat a lot and also become dehydrated. Hunting often takes part during the cool times of the year. If you plan to keep the dogs in their dog boxes or in kennels throughout the night, they may become cold. It is best to put warm jackets on them or bring warm blankets that you can drape over the outside of the kennels, or boxes to trap in the body heat of the dogs so that they can stay warm throughout the night. You may want to avoid putting the blankets in the kennel because the dogs could chew it up. It's ok the goof around later, but make sure that your dog knows that he's expected to be focused from the time he leaves your truck to the time you return. It is obviously ok to reward positive actions, but it's important the he understands that this is serious business. By ensuring that there's no confusion, you'll be able to cement positive behaviours that will last a lifetime. It is important to realize that it may take time for the dogs to track any prey. Be patient with them so that they do not get too fancy and run after the first thing that they see. You want to be sure that you will have a quality kill when everything is said and one and patience is key when it comes to hunting. Most hunting dogs are not cut out for days of hunting. You can typically get a good weekend of hunting in before the dogs need to take a break for a few days. Be sure to choose a location that you know has a lot of prey available so that you can make the most of the hunting trip that you take with your dogs.